Wikimedia Commons has media related to 1652 . 1652 ( MDCLII ) was a leap year starting on Monday of the Gregorian calendar and a leap year starting on Thursday of the Julian calendar , the 1652nd year of the Common Era (CE) and Anno Domini (AD) designations, the 652nd year of the 2nd millennium , the 52nd year of the 17th century , and the 3rd year of the 1650s decade. As of the start of 1652, the Gregorian calendar was 10 days ahead of the Julian calendar, which remained in localized use until 1923. 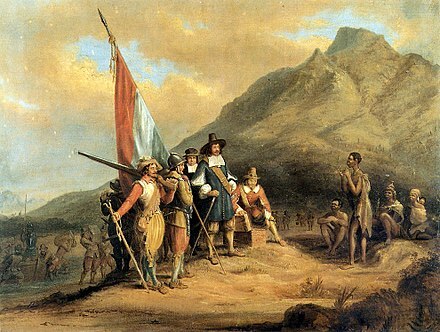 April 6 – Dutch sailor Jan van Riebeeck establishes a resupply camp for the Dutch East India Company at the Cape of Good Hope, thus founding Cape Town. The First Anglo-Dutch War, or, simply, the First Dutch War, (1652–1654) was a conflict fought entirely at sea between the navies of the Commonwealth of England and the United Provinces of the Netherlands. Caused by disputes over trade, the war began with English attacks on Dutch merchant shipping, but expanded to vast fleet actions. 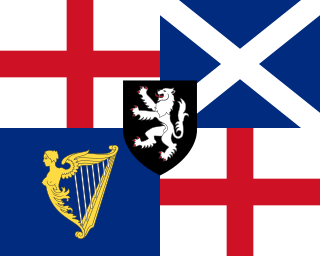 Ultimately, it resulted in the English Navy gaining control of the seas around England, and forced the Dutch to accept an English monopoly on trade with England and her colonies. It was the first of the Anglo-Dutch Wars. September 7 – 11 – Guo Huaiyi Rebellion: A peasant revolt against colonial rule in Dutch Formosa is suppressed. August 26 is the 238th day of the year in the Gregorian calendar. There are 127 days remaining until the end of the year. The Battle of Plymouth was a naval battle in the First Anglo-Dutch War. 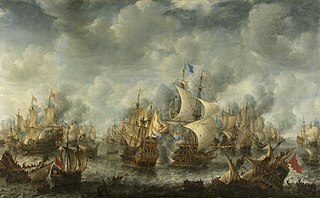 It took place on 16 August 1652 and was a short battle, but had the unexpected outcome of a Dutch victory over England. 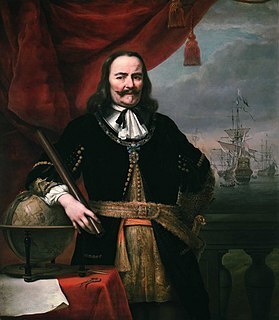 General-at-Sea George Ayscue of the Commonwealth of England attacked an outward bound convoy of the Dutch Republic commanded by Vice-Commodore Michiel de Ruyter. The two commanders had been personal friends before the war. The Dutch were able to force Ayscue to break off the engagement, and the Dutch convoy sailed safely to the Atlantic while Ayscue sailed to Plymouth for repairs. Michel Chamillart or Chamillard was a French statesman, a minister of King Louis XIV of France. 1721 (MDCCXXI) was a common year starting on Wednesday of the Gregorian calendar and a common year starting on Sunday of the Julian calendar, the 1721st year of the Common Era (CE) and Anno Domini (AD) designations, the 721st year of the 2nd millennium, the 21st year of the 18th century, and the 2nd year of the 1720s decade. As of the start of 1721, the Gregorian calendar was 11 days ahead of the Julian calendar, which remained in localized use until 1923. Anton Domenico Gabbiani was an Italian painter and active in a late Baroque style. August, Duke of Schleswig-Holstein-Sonderburg-Beck was a German nobleman. From 1675 until his death, he was the ruling Duke of Schleswig-Holstein-Sonderburg-Beck. He was the second duke of this appanage. Sir Gilbert Heathcote, 1st Baronet was a British merchant and politician who sat in the House of Commons between 1701 and 1733. He was a Governor of the Bank of England and was Lord Mayor of London in 1711. Caleb Heathcote is his brother. 1656 (MDCLVI) was a leap year starting on Saturday of the Gregorian calendar and a leap year starting on Tuesday of the Julian calendar, the 1656th year of the Common Era (CE) and Anno Domini (AD) designations, the 656th year of the 2nd millennium, the 56th year of the 17th century, and the 7th year of the 1650s decade. As of the start of 1656, the Gregorian calendar was 10 days ahead of the Julian calendar, which remained in localized use until 1923. ↑ "Time and Place". Slavery and the Making of America. Thirteen. 2004. Retrieved 2018-02-24. Rhode Island passes laws restricting slavery and forbidding enslavement for more than 10 years.